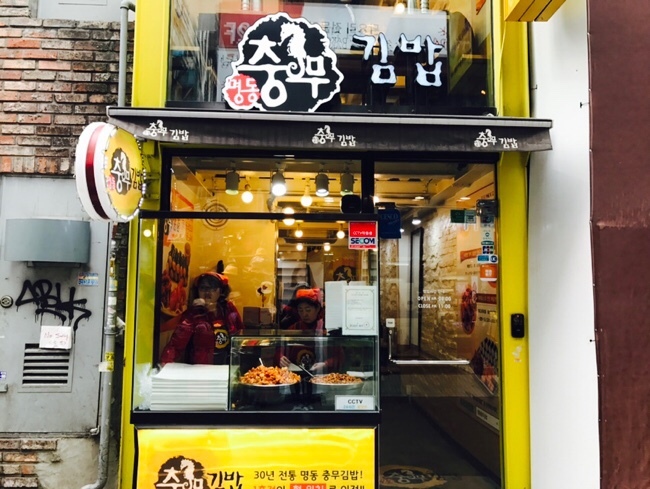 Myeong-dong is one of the most popular, and definitely the most visited place in Seoul. 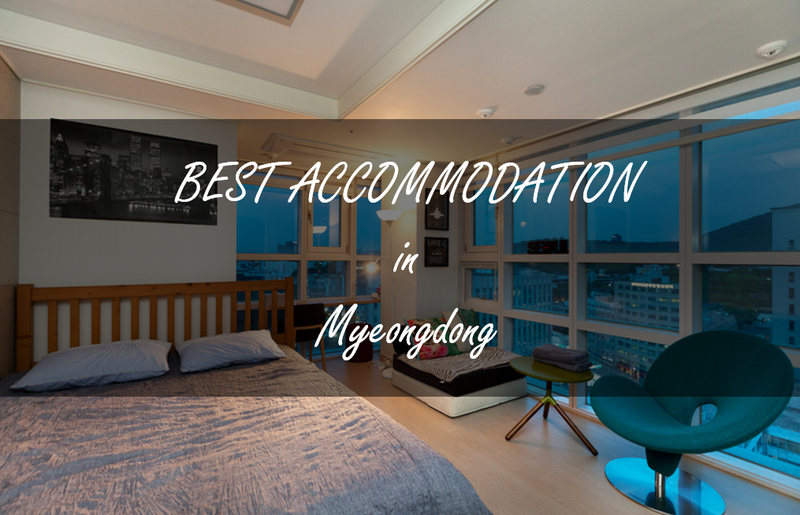 And you might want to start your day in Myeong-dong early because there are just so much to see around the area and so many stores to shop at. 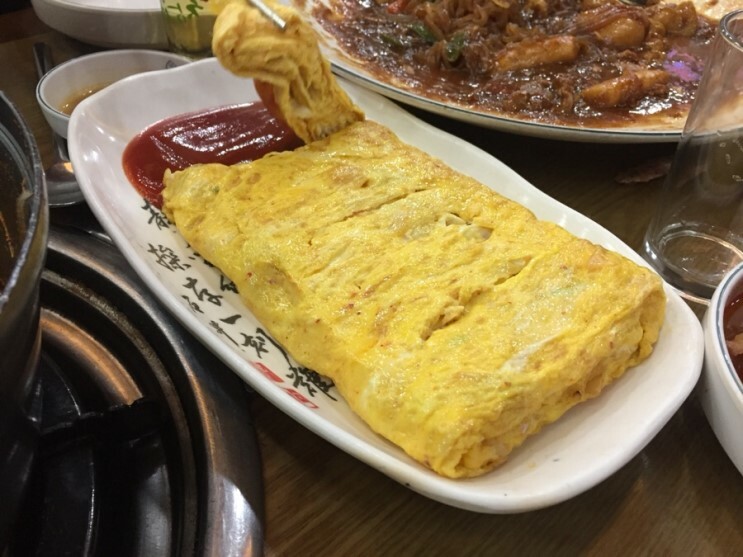 Today we’re gonna introduce you the Top 8 restaurants & cafes where you can easily get a decent breakfast that keep you energetic exploring in Myeong-dong. 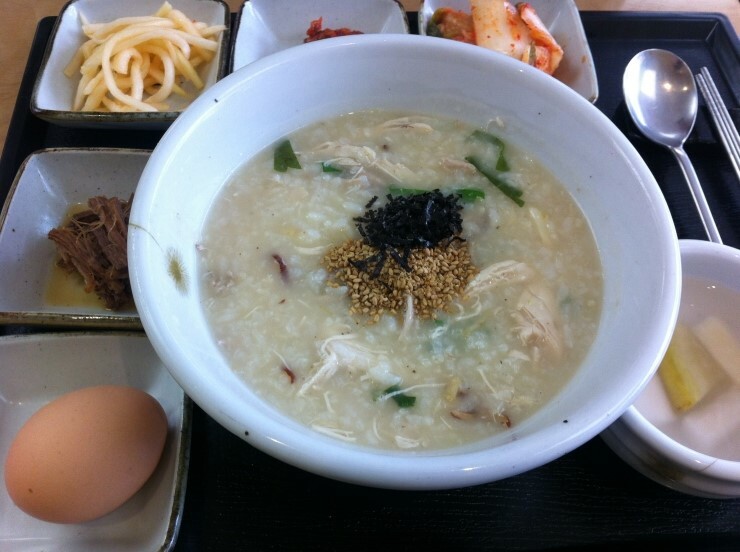 Check out the google map with all the locations! 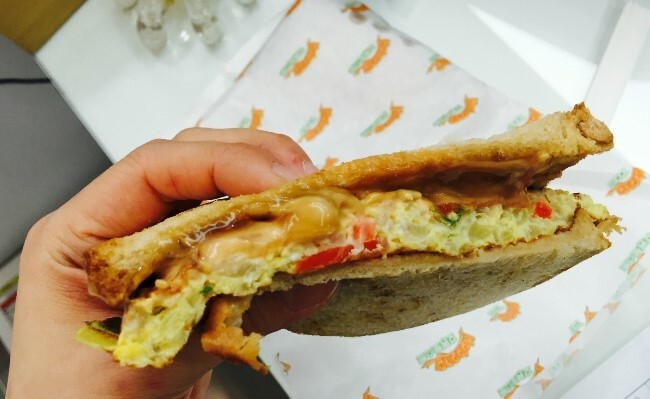 Issac Toast is a famous Korean toast sandwich branch that every Korean knows. 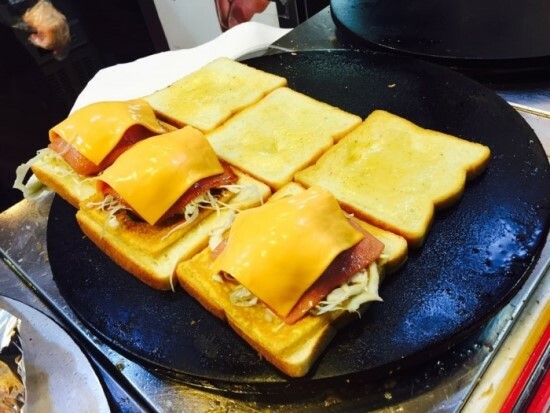 Myeong-dong Issac Toast offers such a variety of toast sandwiches as well as drinks, and the biggest reason we love it? 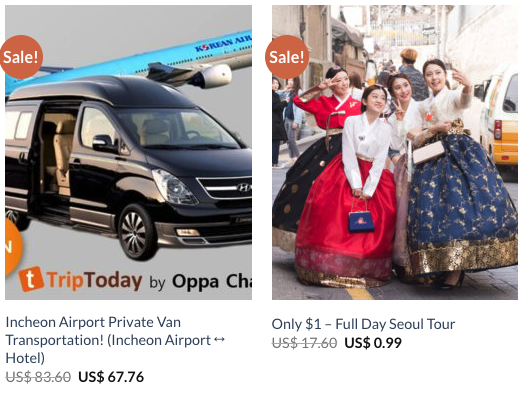 They are so cheap! 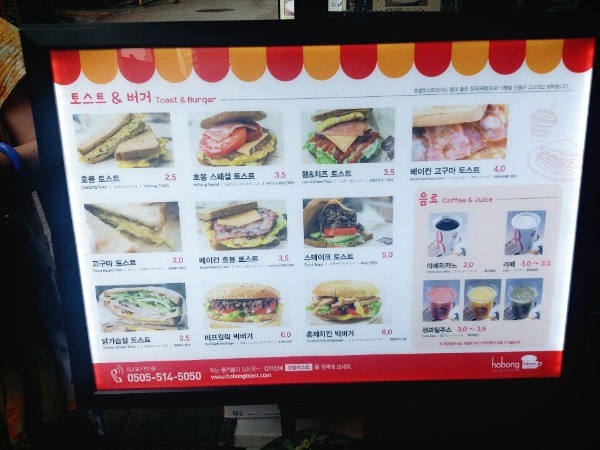 You can get a hot freshly made bacon sandwich at 2,800 won, and a hot rib sandwich for only 3,200 won! 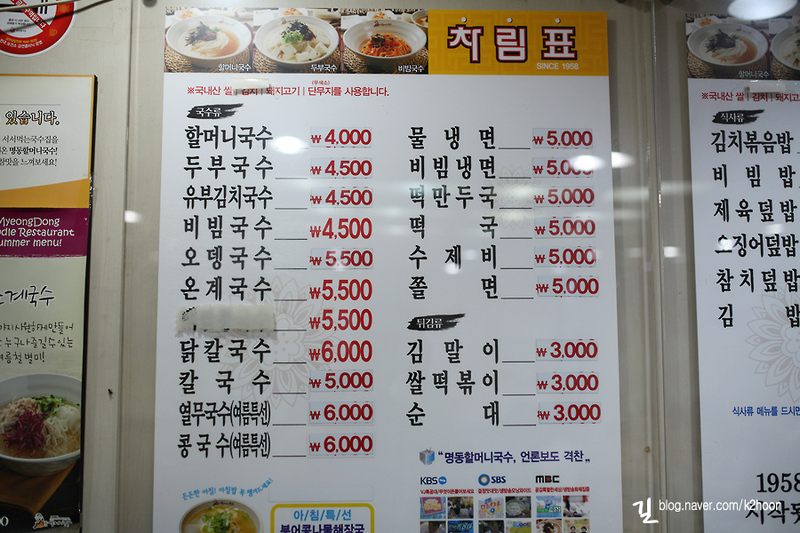 If you’d like to try some Korean traditional recipes, we highly recommend this Korean porridge restaurant popular among foreigner visitors! 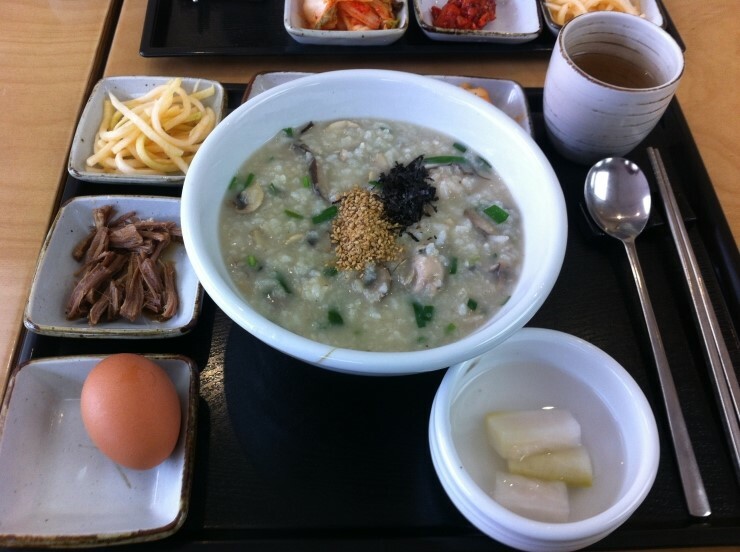 Migabon’s well-being porridge is not only delicious but also considering nutrition and health. 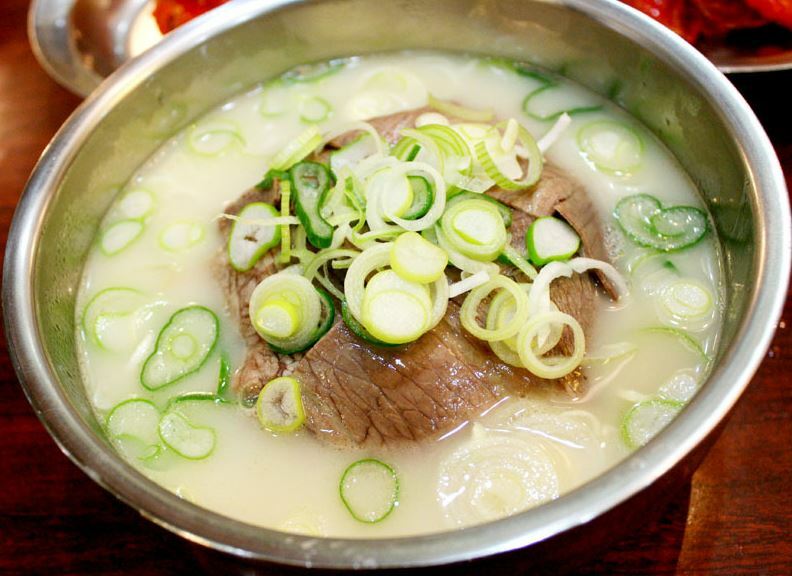 Hadongkwan is an old restaurant in Seoul specilized in “Kom Tang” (a kind of Korean Hanwoo beef stock soup) for over 70 years. 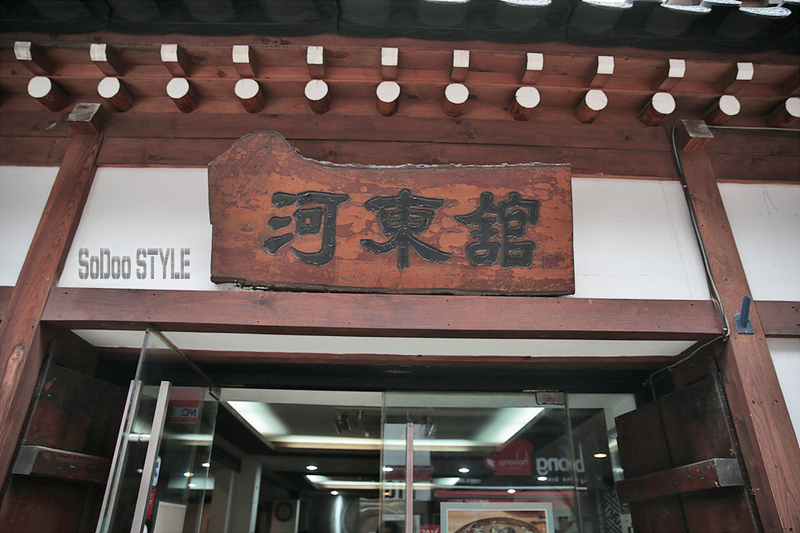 You can find the Korean traditional taste at this traditional Hanok style restsurant! 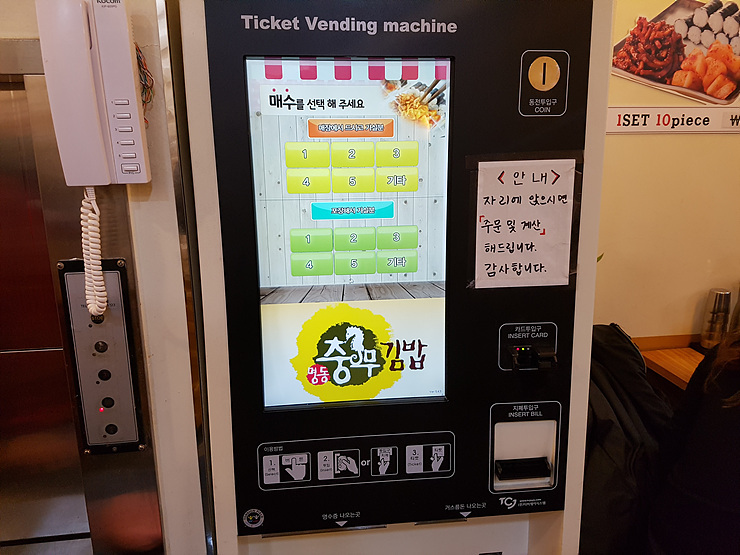 Even Korean people are lining up just to taste it! 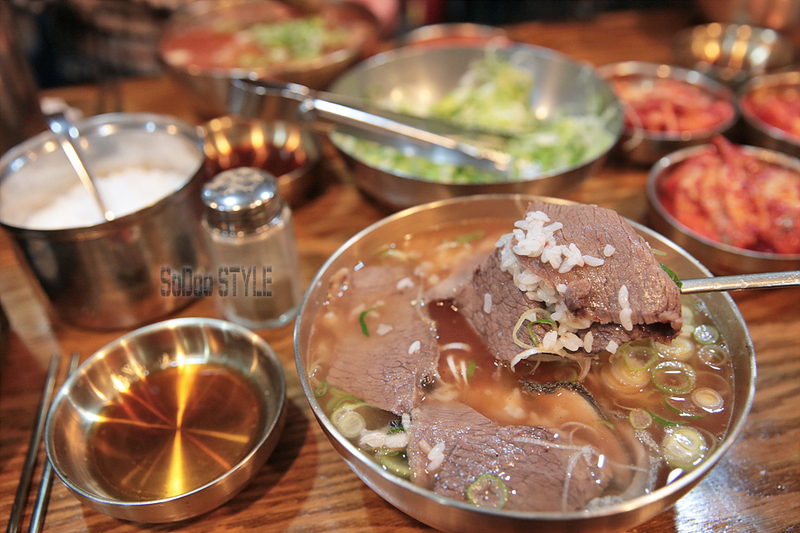 If you like beef, especially Korean Hanwoo, this is absolutely a must-try! 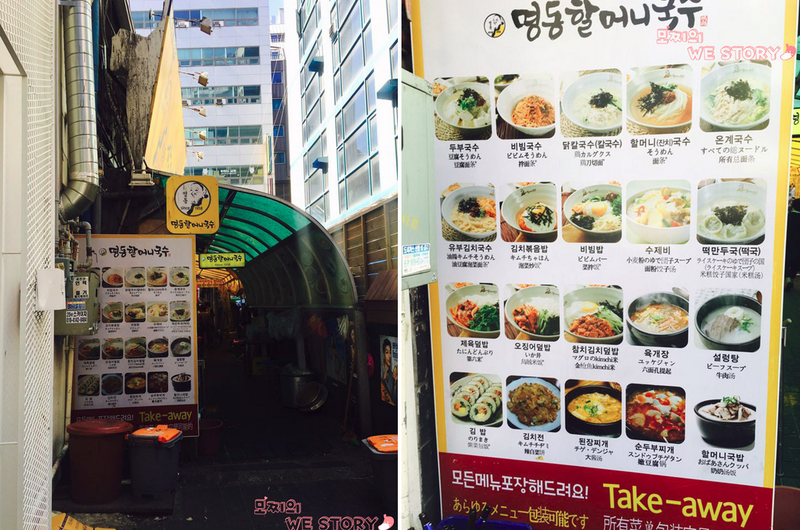 Myeong-dong Grandma’s Noodles is hidden in a small alley of Myeong-dong, but it didn’t stop the restaurant from becoming famous. 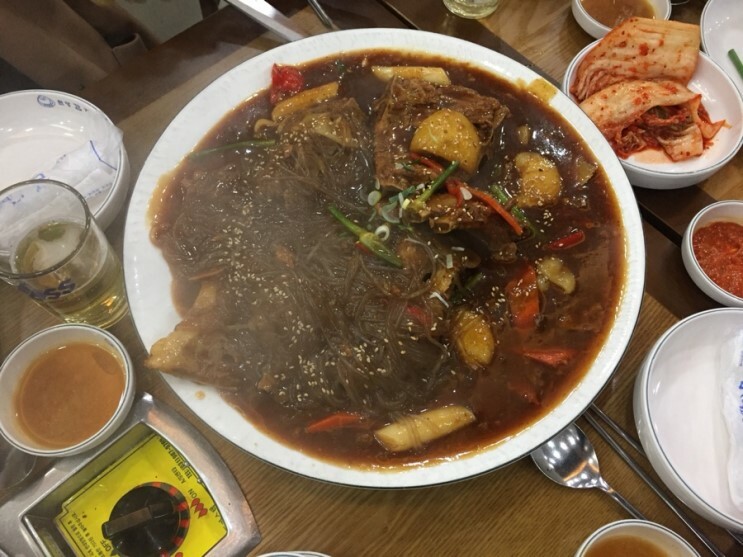 Opened since 1958, the restaurant is trully like a Grandma’s house, where you can find all kinds of Korean homemade food at a very reasonable price. 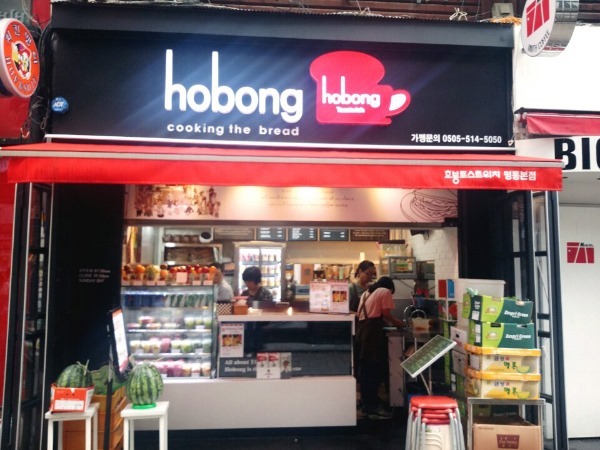 Hobong Toast is another toast & sandwich cafe we love in Myeong-dong~ Different from Issac Toast, they have more developed munes and you can taste their unique recipes such as sweet potato totast, home made beef garlic and chicken burgers! 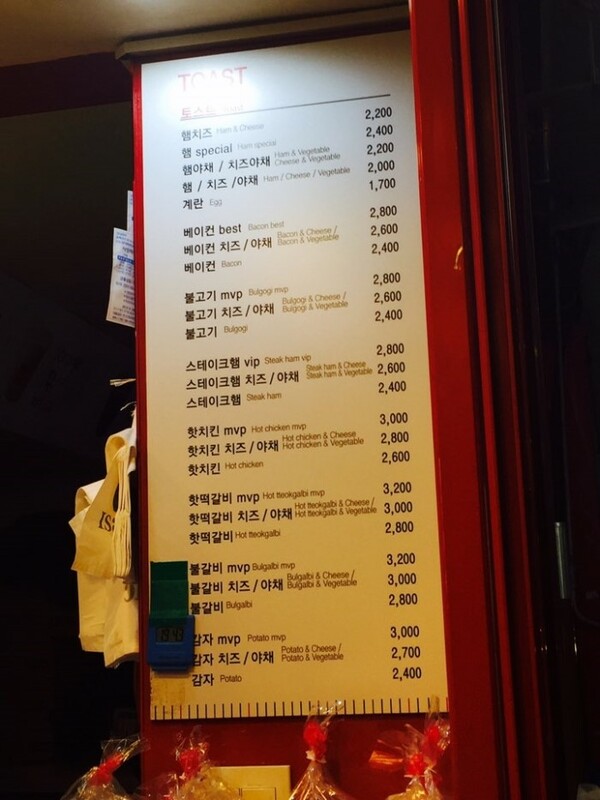 They have coffee as well! 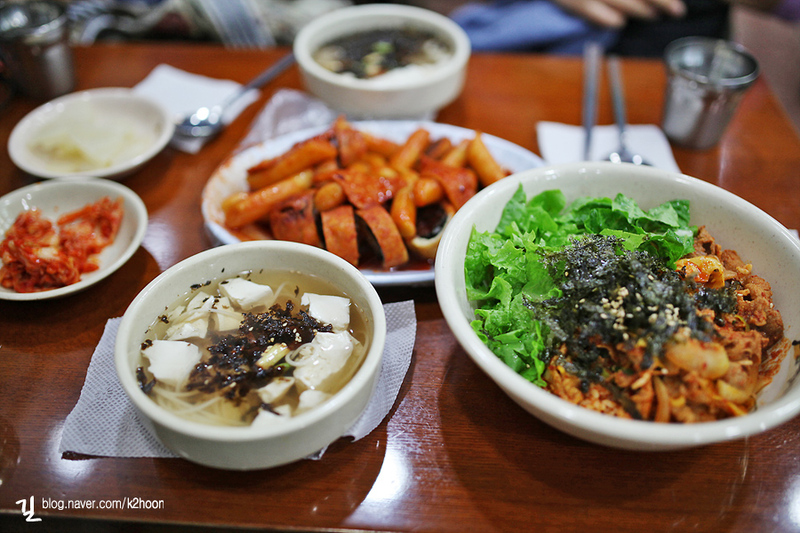 You just can’t leave Korea without trying Gimbap! 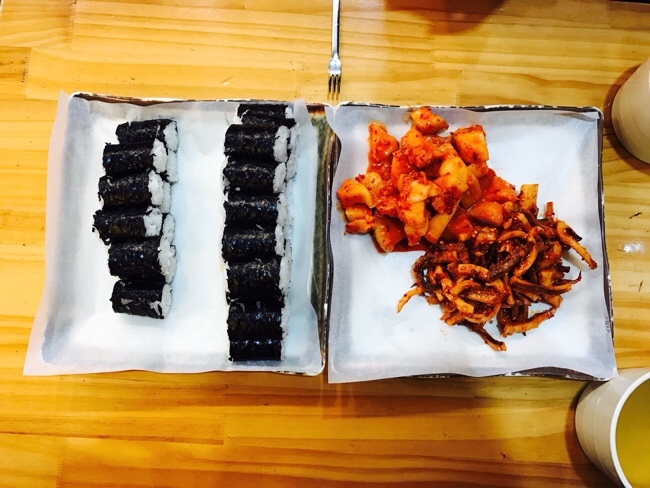 Chungmu Gimbap is specialized in a very special kind of mini gimbap~ Different from those you usually see with fillings inside, Chungmu Gimbap is pure gimbap with only rice wrapped in seaweed rolls, and eat with side dishes Kkakdugi (Korean radish kimchi) and spicy squid. 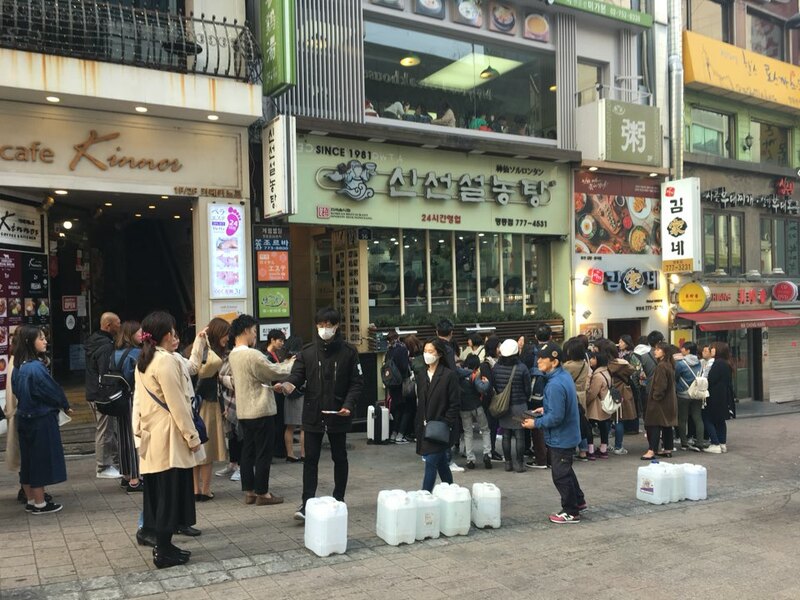 Every morning, travelers are line up in from of Sinseon Seolleongtang, it opens 24 hours. 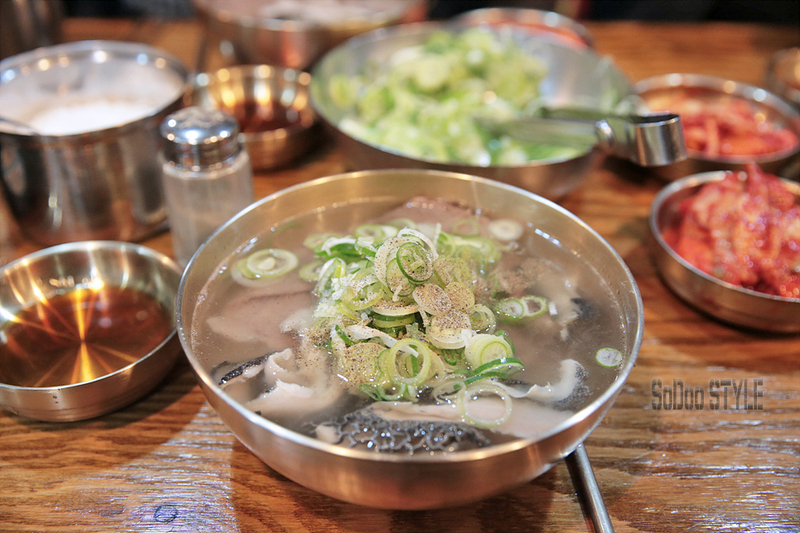 Seolleongtang is a Korean broth soup made from ox bones, brisket and other cuts. 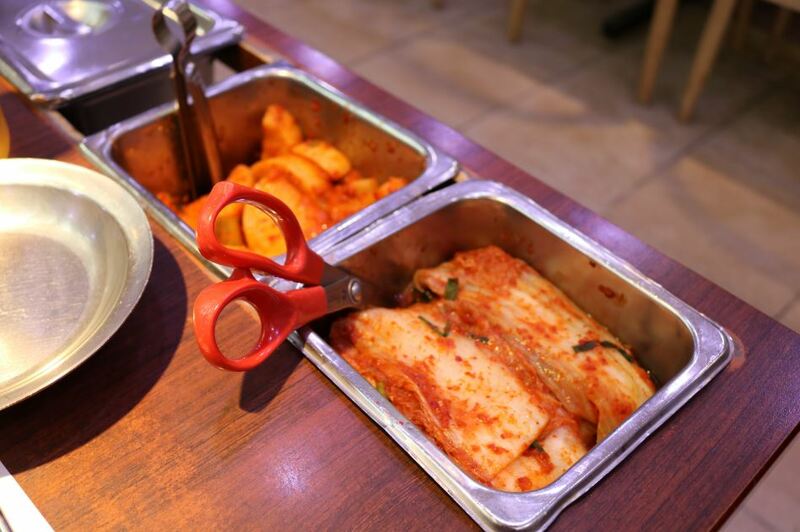 You can get kimchi refill by yourself so you don’t have to feeling awkward asking for more. 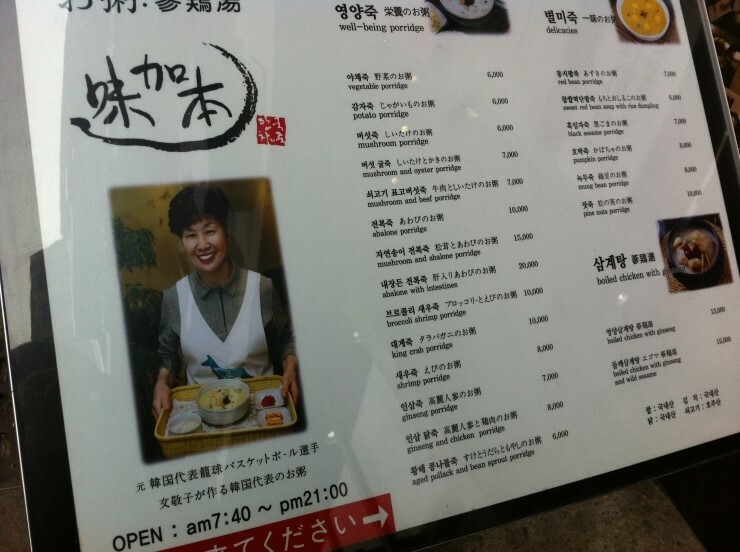 They also serves Bulgogi and Kimchi pancake. 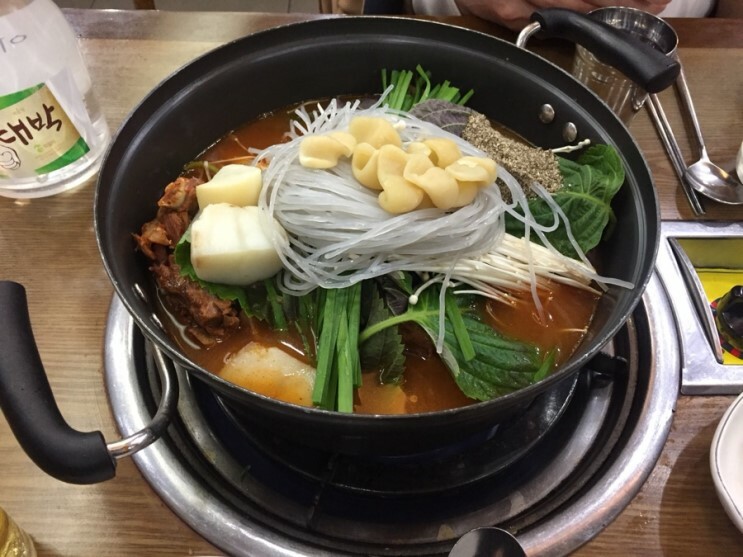 This entry was posted in FOOD and tagged breakfast, dining in Seoul, food in myeongdong, food in seoul, Korean food, Myeongdong, Travel in Seoul.